I have written a guide to disconnect users from Wi-Fi using Who is on my Wi-Fi, but there are more tools which can help you to eliminate users from your Wi-Fi or should I say many software to block them from your Wi-Fi. First of all download and install NirSoft's Wireless NetWatcher, you can download it from download.com or here is my Google Drive link for Wireless Net Watcher setup. 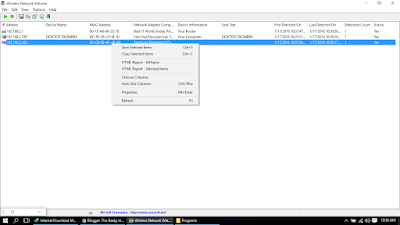 After installing NirSoft, you will need to run the software and click on little green play button on top left corner of Wireless net watcher window, now it will detect systems, devices connected to your wireless router and you can see various details about it. 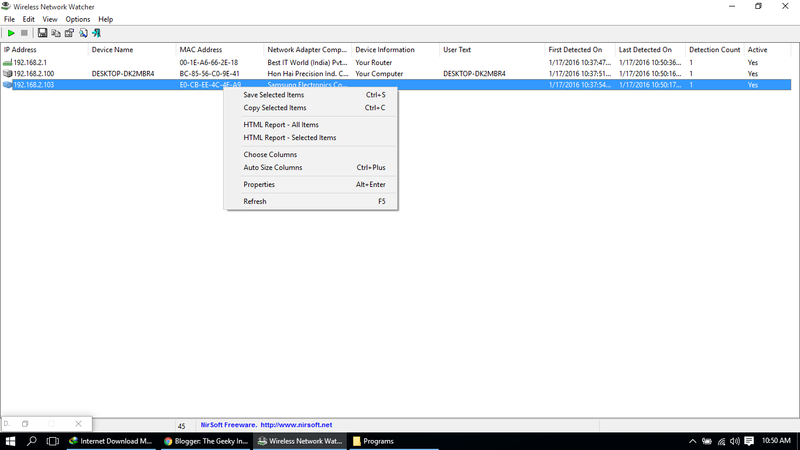 You can see IP address, Device name (if set previously), Mac Address of connected device (this is important), device info, users text, first and last detection date and status of device. The good thing is, it keeps record of device ever connected to your Wi-Fi, so you can block people who are not connected but they use your Wi-Fi time to time. Once you scanned your system you can see various mac address and copy a device's mac address by right clicking on it and add it to mac address filter list from router's setting to permanently block it. Liked us? Tell your friends on Facebook!